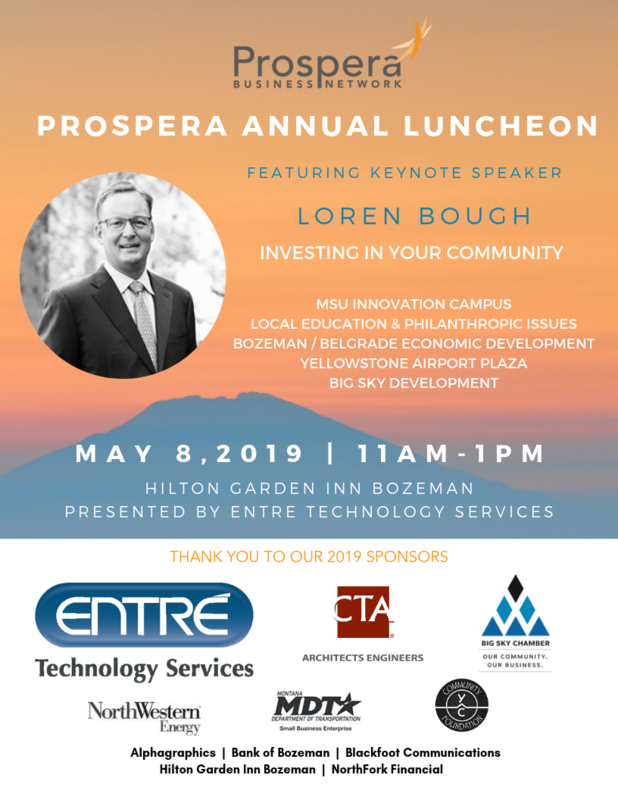 JOIN US FOR THE 2019 PROSPERA LUNCHEON ON WEDNESDAY, MAY 8, 2019. 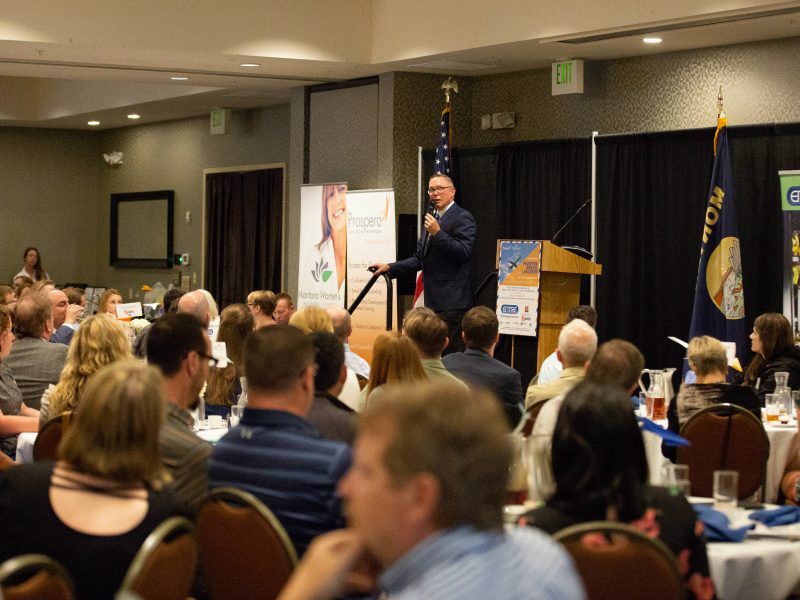 THE 2019 LUNCHEON IS CURRENTLY SOLD OUT. Please email cmajewski@prosperamt.org to be added to our wait list. Sponsorship and marketing opportunities are available now ranging from $500-$2,500. Deadline for sponsorship commitment is Friday, March 29. Purchase a corporate table for 8 guests. Your full table also includes the display of your company logo at your table for attendees to see. Join us at the Annual Luncheon by purchasing an individual ticket. Members and non-members are welcome at this event. 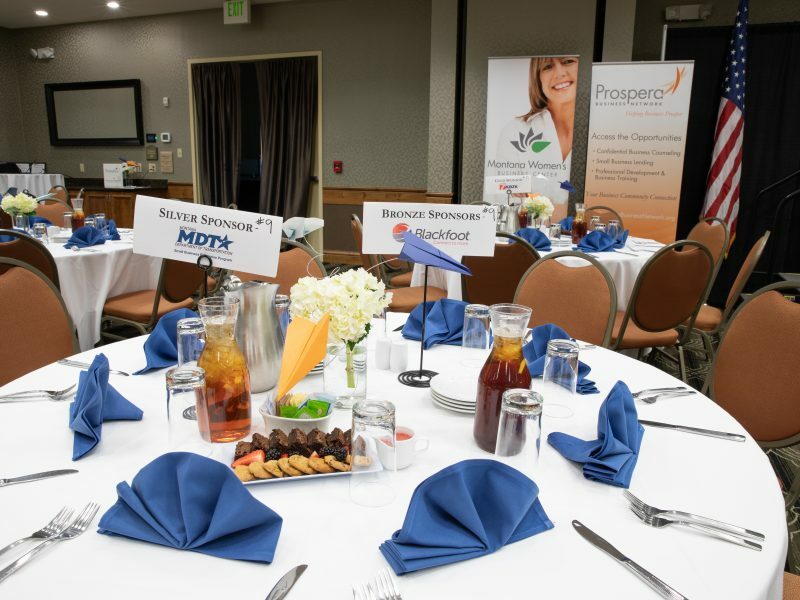 Join us to network with the top business leaders of Gallatin and Park Counties. 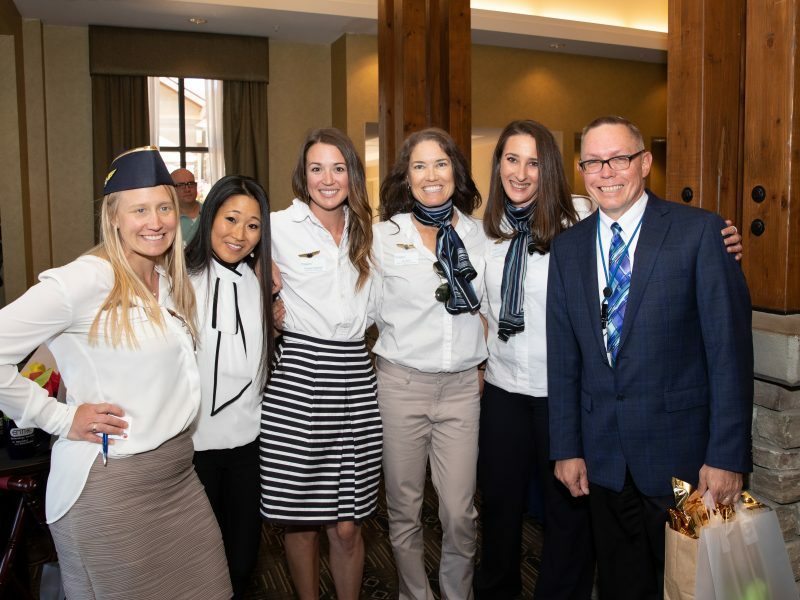 The event includes an optional and interactive networking activity, and a number of incredible raffle prizes including a full day white water rafting trip for up to 10 people! You must arrive to be entered to win the following prizes.